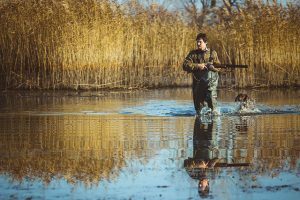 What Are the Pennsylvania State Game Lands? Throughout the year there are many different hunting seasons here in the Pocono Mountains. With fall at our doorstep a lot of hunters will be spending their time outdoors. Fortunately for them not only will they most likely come home with an amazing catch but they will be able to enjoy the beauty of Pennsylvania’s outdoor landscape. For those of you who visit our great state for hunting, you may be surprised on where we hunt. For us, we head to our nearest Pennsylvania state game lands to find our next prize. Not sure what Pennsylvania state game lands is? Let us at Ledges Hotel share with you what they are and why we recommend our visiting hunters there. What are Pennsylvania state game lands? Basically, Pennsylvania state game lands are lands designated for hunting, trapping, and fishing that are operated and controlled by the Pennsylvania Game Commission. Their main reason for all of this to help manage and protect wildlife. They also help manage the wildlife habitats and inform the public on native wildlife as well as safe hunting tips. This may not seem like a big job but it is. The Pennsylvania Game Commission’s job is to set the hunting seasons for the year as well as bag limits for the hunters. They also issue hunting and fur taking licenses as well as conduct tests for wildlife disease as well as help control it. Here in Hawley, PA, we are fortunate enough to have one of the Pennsylvania state games lands near us, #183. But the biggest question from visitors is, what can we hunt? During the correct season, there are plenty of animals to hunt. One of the most famous is our white-tailed deer. One of the most challenging animals to bring down is found in some of our more swampy areas, the black bear. Hunters have brought down some record breaking bears. A healthy and popular meat is also found on #183, the turkey. Be sure to check what season it is for these guys because they are rules for both spring and fall seasons. Our dry springs as well as a good food source keep our turkeys happy. 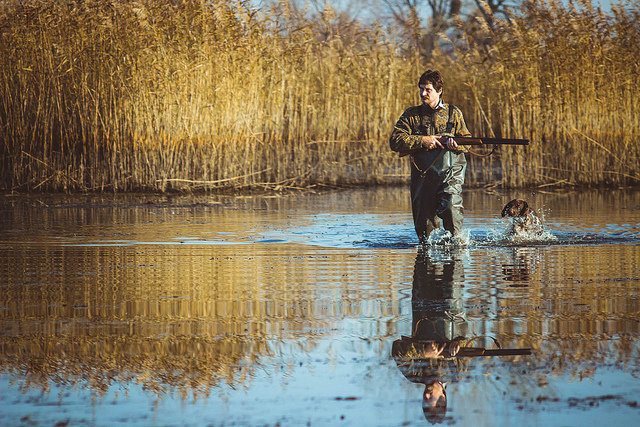 Another fun bird to hunt is the waterfowl. Here in Pike County there are many different kinds of waterfowl that you will come across like wood ducks as well as Canadian geese. Be sure and try to catch a glimpse of our state bird, the ruffled grouse. They are very hard to hunt and tend to live in overgrown areas. For those of you who enjoy a good pelt, you will have your fill here in Pike County. Our animals range from beavers, muskrats, and minks all the way up to your predators like red and grey foxes, coyotes and bobcats. As you can see, we love fresh game here in the Pocono Mountains. Not only do we benefit from a hunt but also it helps the Pennsylvania Game Commission keep the population of animals at an appropriate size. When visitors come to our Pennsylvania state game lands, they love staying at Ledges Hotel. The juxtaposition of the rugged outdoors and the luxury of our rooms and service really create an amazing trip. Contact our wonderful staff today to book your trip and imagine yourself surrounded by comfort after a long day in the woods.